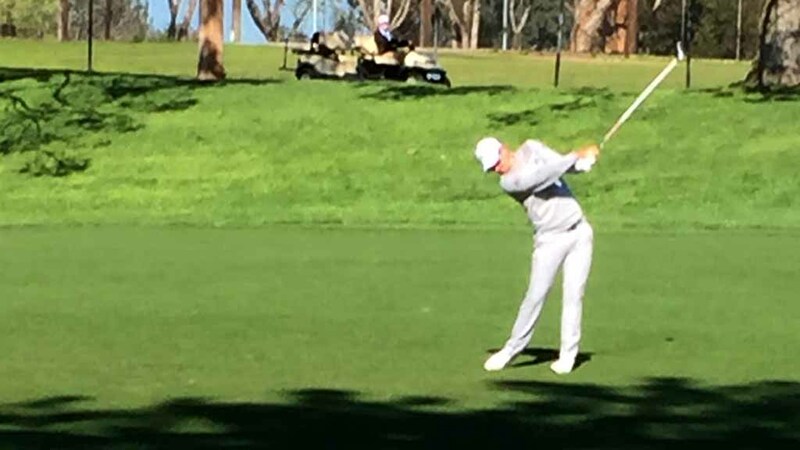 To hear the golf professionals playing this week at the Farmers Insurance Open, the New North course at Torrey Pines is as tough a golf venue as the much more famous, and previously considerably more difficult, championship south course. But cumulative scoring totals reveal that the New North cost the entire field just 2.5 strokes less this year than did the south course. In previous years golfers tended to score four or five strokes better on the north. Thus the New North is a bit more difficult than in previous years, leaving the conclusion that the re-design has perhaps somewhat evened up the venues. 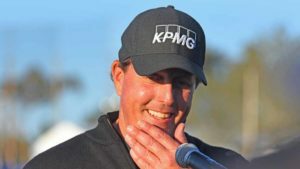 In a pre-tournament interview, the architect of the New North, Tom Weiskopf, predicted the two courses would be more even, with his re-design making the north easier by a couple of strokes. Meantime, the two players tied for second did considerably better on the south. 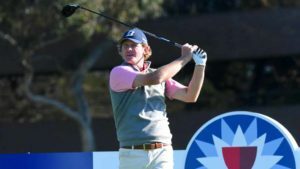 This marked a big departure from previous years as these two, 2016 Torrey champ, Brandt Snedeker and the PGA’s newest star, Adam Hadwin of Moosejaw, Canada, required more strokes on the old south than on the New North. But each of the marquee group on the course — Tiger Woods, Dustin Johnson and Jason Day — failed to qualify for the weekend championship and each performed equally poorly on both courses on Thursday and Friday. Mickelson had a final overall score of one under par just making it to the weekend as did a total of 79 players who scored even par or above. The final round leaders, Rose, Hadwin and Snedeker will tee off — on the south course—at 9:40 a.m.